Suitable for use in interior spaces, the Terro 2 oz. 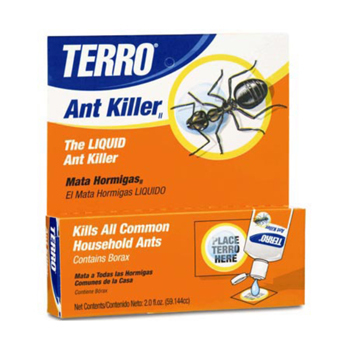 Ready-to-Use Liquid Ant Killers (12-Pack) feature a borax formula that is designed to destroy common household ants. The ants eat the product and share it with the colony for optimal treatment. These pre-filled ant killers are ready to use for your convenience.